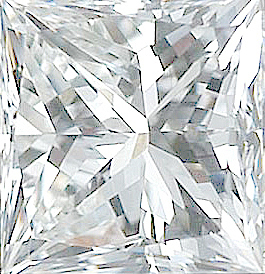 Description This Princess cut Diamond is graded SI1 clarity and I to J color by a certified diamond grading specialist. 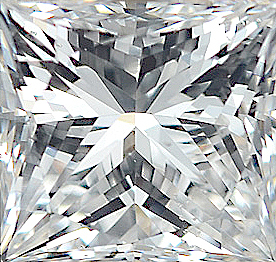 A SI1 clarity graded diamond will have slight inclusions that may seen with the aid of a 10 power gem loupe. 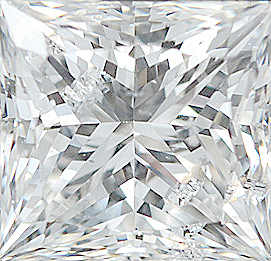 This diamond has been cut to near full brilliance with a very good symmetry, polish, finish and make. A I to J color grade diamond is considered to be in the near colorless color grade but more suitable for yellow gold jewelry than white gold or platinum jewelry. 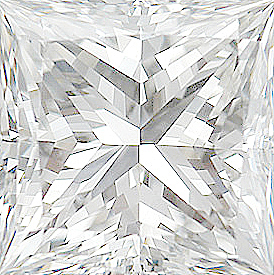 NOTE: The carat weights of the Princess Cut calibrated diamonds listed here are only approximate weights. 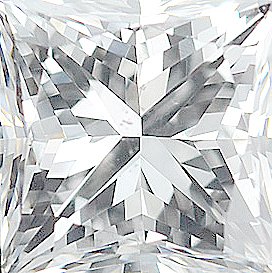 The actual carat weight of the princess cut diamond you receive can be more or less than the listed carat weight. Standard calibrated princess shaped diamond Gemstones are based on dimensions, not carat weight.